Record Label for Internationally Signed Australian Rock Recording Artist is looking for 2 x Female professional dancers for live shows and video clips. 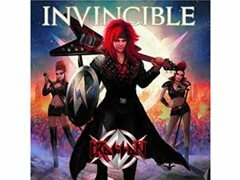 The artist, CROSSON is signed to a German label and their latest album INVINCIBLE has just spent 10 weeks in the Top 30 Official German Rock Charts. Record Label for Internationally Signed Australian Rock Recording Artist seeks 2 x Female professional dancers for live shows and video clips. The artist, CROSSON is signed to a German label and their album INVINCIBLE spent 10 weeks in the Top 30 German Rock Charts.